Emad Nakkash, MD is an experienced Ophthalmologist. 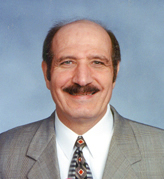 Dr Nakkash completed his degree in Physics at Wayne State University. There after, he finished his medical at the School of Medicine of Wayne State University in Detroit, Michigan. Then, he completed his residency in Ophthalmology at Saint Luke/Case Western Reserve University in Cleveland, Ohio. Dr Nakkash is an affiliate with Detroit Medical Center, DMC. He is also a Clinical Instructor of Ophthalmology at Wayne State University and he is involved in teaching the eye residents. He attends the Kresge Eye Institute on a weekly basis. Besides English, Dr Nakkash speaks Arabic and Chaldean (Babylonian). Dr Nakkash has special interests in diabetic eye diseases, lids abnormalities, glaucoma, and cataracts. Dr Nakkash is proud to share his experience. He has performed more than ten thousand laser surgeries for diabetic eyes; more than ten thousand different lids procedures; close to ten thousand laser surgeries for glaucoma; and about four thousand cataracts surgeries. We have large staff – that can accommodate more than one thousand patients per month. Yet, Dr Nakkash does not rush during patient care; he always says that all patients will get the time that is needed. The Eye Clinic patients enjoy the friendly welcome and the comforting atmosphere. Dr Nakkash is a very patient person. He strongly believes that "good doctors are those who take the time to talk to their patients and explain to them in simple words their conditions and the treatment options .. Good doctors treat their patients like they treat their families .. These are the real doctors." Dr Nakkash lives with his wife, Dr Ghinwah Nakkash, and his three children, Nina, Neil, and Numan.